via email from Pierre Dion, 3-3-06 Maurice Colliex was my great-uncle and I found your site while looking for information on him. I must admit that your site is quite infromative. I don't know anything about planes and early flyers, but I can give vou the date of his death: 16th January 1955. My name is: Pierre Dion. I live near Paris: 29, Avenue Nicolas II 78600 Maisons-Laffitte. I send two photos about him to you. No. 1 - The first one shows Maurice with a big plane's engine. Maybe, a specialist can identify what it is. via email from Kees Kort, 4-21-07 I promised to come back on the picture of Maurice with the engine. The engine in that picture must be the 6 cylinder water cooled Chenu AH.6 of 200 to 210 hp, a very advanced and powerful design of which two were used in tandem to power the gigantic Jeanson-Colliex flying boat, (easily the biggest in its time, 1913-1914). The two in line Chenu engines drove one big propeller (4,40 meter diameter in the first version of the flying boat, later even augmented to 5 meter diameter, really the limit of technology then). No. 2 - I am not sure Maurice is in this second photo. Maybe he is on the left. I read your interesting article on Maurice Colliex. I can identify the rotund French single engined as the Blériot Spad 33 civil airplane. 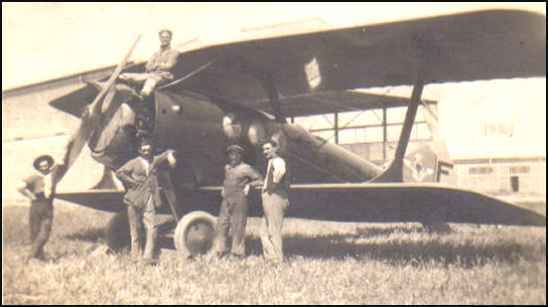 The prototype of this machine appeared in 1920, (first flight on 12 December 1920), and it remained in production until 1930. The engine of this model was a Salmson Z.9 nine-cylinder water-cooled radial engine of 230 hp, driving a two bladed wooden screw. The wings were slightly swept back and of unequal span. Wings were connected by a single I strut. The machine could carry four passengers which were seated in a cabin between the wings. Most models had 3 circular windows on each side. 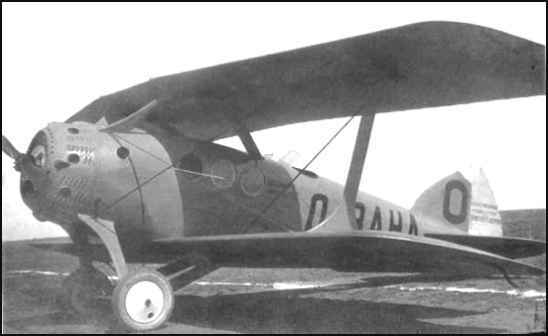 Curiously there was a two-seat open cockpit aft of the wings, one for the pilot and one for a fifth passenger! It is unknown if the fifth passenger would have to pay extra or less than the passengers in the cabin. Via email from Reg Winstone, 12-8-2004 Great stuff, Ralph. Maurice Colliex was at school with his exact contemporary Gabriel Voisin, whom he rejoined after graduating in 1903. He remained a close collaborator of the Voisin brothers during the company’s pioneering years, first as draughtsman, then as chief engineer and later, test pilot. 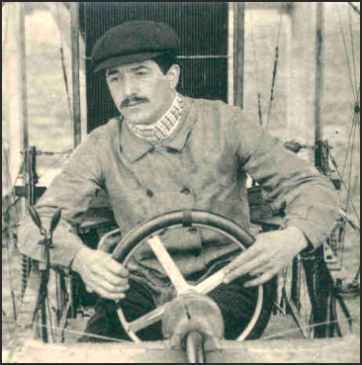 It was Colliex who set up the Voisin flying school at Mourmelon and was responsible for overseeing production and supply of the first all-metal Voisins to the military. Whilst still with Voisin, he teamed up with Maurice Jeanson in 1912 to build a huge double biplane flying boat under his own name. With two 200HP Chenu engines driving a five-metre propeller and weighing in at nearly five tons with 10 people aboard, the Jeanson-Colliex was the largest of its type in the world. 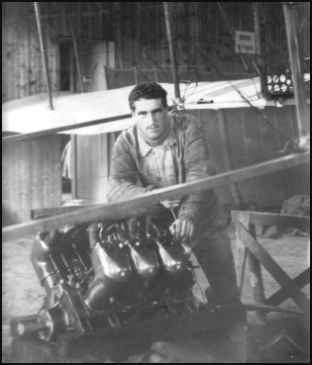 It was during his time as a military aviation instructor that Colliex achieved his best-known feat, when a Blériot flown by a novice became entangled in mid-air with the upper plane of his Voisin, which Colliex proceeded to land safely in the normal manner despite his unorthodox additional ‘passenger’. 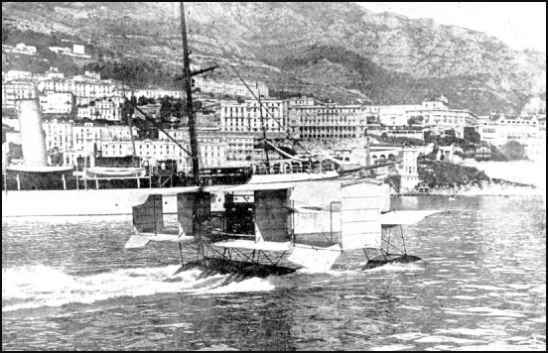 The vast Jeanson-Colliex seaplane with which Colliex fully intended to try crossing the Atlantic, had not War intervened. 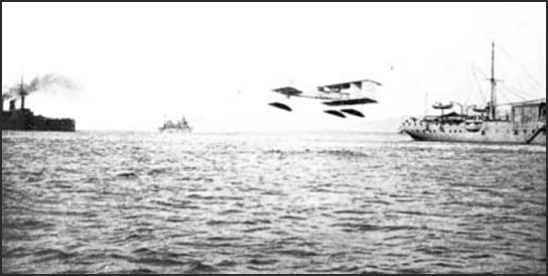 This photograph shows Voisin collaborator and test pilot Maurice Colliex flying the seaplane version of Gabriel Voisin's famous 'canard' biplane. Notice the photo above from Monaco! 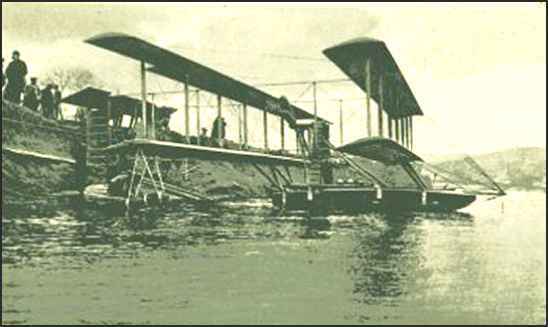 It is a pusher type Farman hydroplane, as you can tell from the position of the "flaps" ("Aîlerons" in French) and the direction the plane is moving. It was a plane which was flown with its tail first, in the sense of flight direction! In fact, it is the reverse of the usual Farman plane configuration! Very unusal indeed! This Farman was so constructed that it had to fly into the flight direction from left to right! Here it has just landed and was taxiing, or was about to lift off! If you search the net using Google on "Maurice Colliex" +aviation, (12-7-04), you will find about 27 links, most of them in French. The one immediately below seems to be the most comprehensive. www.1914-18.org - Maurice Colliex If you read French, you will find a very nice little biography of Colliex on this page. The original website has disappeared from the net, but you can access this copy on the www.archive.org website. You can access the French version by clicking on the title above. However, I can tell you that Maurice Colliex died December 15, 1954.